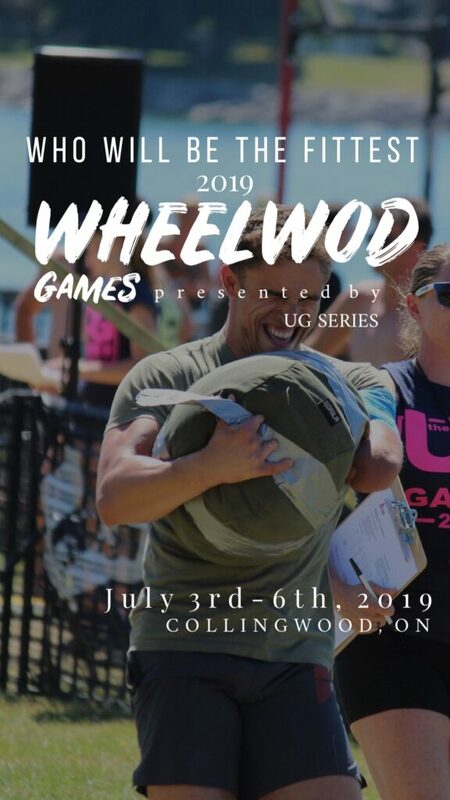 The wheelWOD games is the ultimate test of fitness for adaptive athletes world wide. In 2019 the games will be hosted in Collingwood Ontario Canada. In partnership with the UG Games & CrossFit Indestri. Athletes have qualified from either WheelWOD Sanction Events, or placing in the top 12 with no scaled workouts in the WheelWOD Open. The Games workouts will be released in June 2019..